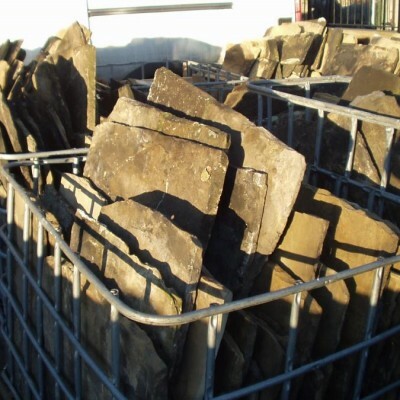 We have 2000 + square yards of Grade A Yorkshire Stone Flags. Please note that these are genuine Grade A Yorkstone Flags and are not cut down blue Rossendale Lancashire Flags. All these flags are graded and each pallet comes with a full inventory of sizes so you know exactly what you are getting. Probably the best stock of Yorkstone in the U.K. All our stone is locally sourced from around Holmfirth (Last of the Summer Wine country) where the best Yorkstone in the world was quarried for centuries.